Termites & Wood Destroying Insects :: Kingsway Exterminating Co. Whether you’re selling or buying a home or just need us to analyze your problem, Kingsway is the place to go for a proven Termite Control solutions. 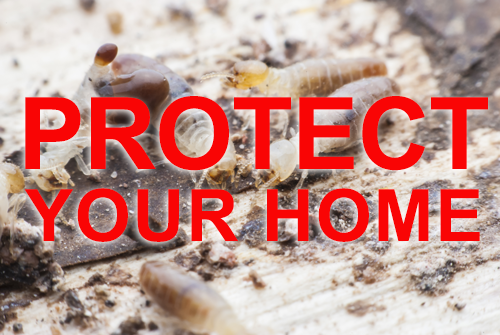 Termite control is crucial to protect your home or property. With more than 40 years experience, we take great pride in the successful outcomes we provide. You can trust Kingsway’s termite control solutions to give you the best results, we will make sure termite activity is under control on your property. Termites are very damaging wood destroying insects. Termites are straight with straight antennae, while the worker is without wings and greyish white in color. Workers cause the most damage. The carpenter ant has a smaller middle section with short back wings and curved antennae. They commonly bore in decayed, moist, wood and sign of their existence is left over grainy sawdust. These pests are Reddish brown to black in color with slim bodies. They are limited to infestations in hardwood. Potential signs of infestation are rounded holes in wood and powdery dust that is left behind. Young larvae will damage the hardwood and tunnel to the lower surface of the wood and continue to grow into adults. Signs of this infestation are fine sawdust and exit holes. The resemble that of a bumble bee, but Carpenter bees nest in burrows or tunnels in the outer surface of wood. They like wood trim and unfinished wood. These are the most common type of termites in America. They like moisture, feed on wood, and can cause extreme destruction and structural damage. They come from underground and burrow above to find food. They will infest wood that is untreated or that touches the soil below. In warmer temperatures, it may be easier to spot potential signs of infestation, such as: Peeling or blistered paint, sawdust collections, bulging or discoloured siding, tunnels in cracks, shelter tubes on foundation or on basement walls, mass numbers of flying insects, or broken wings in crawl spaces or around foundations. Whether you’re selling or buying a home or just need us to analyse your problem, Kingsway is the place for you. Let our professional termite consultant perform a thorough inspection, analyse the area and provide a treatment recommendation.